Gulf Oil was founded in 1901 at the time of the discovery of oil at Spindletop, Texas. Gulf promoted the idea of branded product sales by selling gasoline in containers and from pumps marked with the distinctive ‘Orange Disc’ logo. In 1913, Gulf Oil developed the first drive through petroleum station in Pittsburgh USA and this was the birth of the orange disc that has become the mainstay of the brand. This has remained unchanged. Today, the Gulf orange disc has reached iconic status, enjoying strong brand recognition with people from all parts of the world. With over 110 years of brand equity and a presence in over 100 countries, Gulf is one of the oldest and most recognized oil companies in the world. Gulf Oil International is committed to a strategy of growth and development and this is best reflected through its ever-growing number of Gulf branded petroleum stations. Gulf has also built on its historical strength in endurance motorsport and the Le Mans 24Hrs, now sponsoring a portfolio of race teams including the Aston Martin Racing Le Mans team. 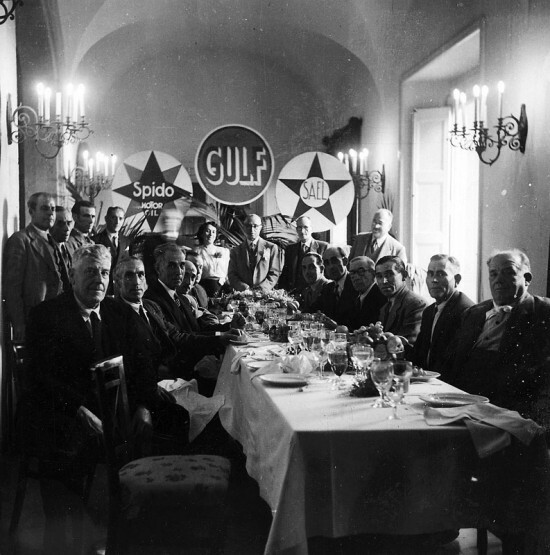 Gulf is one of the most famous oil brands in the world, with a rich history and a strong future. The brand continues to go from strength to strength in the industry and is always looking for new partners to take the brand into new territories and new product markets. Contact Gulf Canada today and realize the benefits of working with a global brand. Click here for Gulf Oil International worldwide sponsorships.